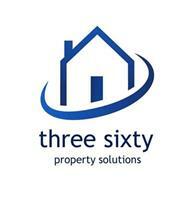 Three Sixty Property Solutions - Bathrooms, Builder, Kitchens based in Saxmundham, Suffolk. Three Sixty Property Solutions is a local, friendly and reliable company working with home-owners, landlords and businesses across East Anglia. We provide a quality workmanship and a professional, dependable service. With our highly skilled and experienced team of craftsmen, we willingly complete engagements of all size and description. Anything from smaller jobs that may only take a few hours to full refurbishments and renovations. We will manage all aspects of the engagement, coordinating supporting crafts and trades as necessary. You can rely on us to work with you and your schedule with minimal disruption to your business or home life.